We also provide female hosting staff for corporate and Stag parties to bring the same touch of glamour and impeccable service to any event. Whatever the theme or size of the event, we can tailor the attire of our staff to your requirements; from ‘formal elegance’ to ‘the Wild West’ or ‘Ancient Greece’. All of our hosts and hostesses are carefully selected to ensure that they are not merely pretty faces. Their great personalities, service and social skills make a great impression with all guests whatever the occasion. Decadent, sophisticated events are our speciality. Whether it’s an intimate dinner party with close friends or an extravagant corporate event for hundreds, the same principles apply; we strive to ensure that the planning and execution of your event runs smoothly and that a unique experience is enjoyed by all. Ultimately, you can be assured that whatever the specifications of the event, you are guaranteed hosting staff with the same fantastic characters that our butlers are renowned for. Over the years we have provided that little something special for a huge number of corporate clients, our fantastic product and dedicated office team ensure that we deliver a remarkable service in both the private and corporate sector. We now offer great corporate rates and have a sliding scale for corporate bookings, which means the longer you book your butlers or hostesses for, the less the hourly rate will be. 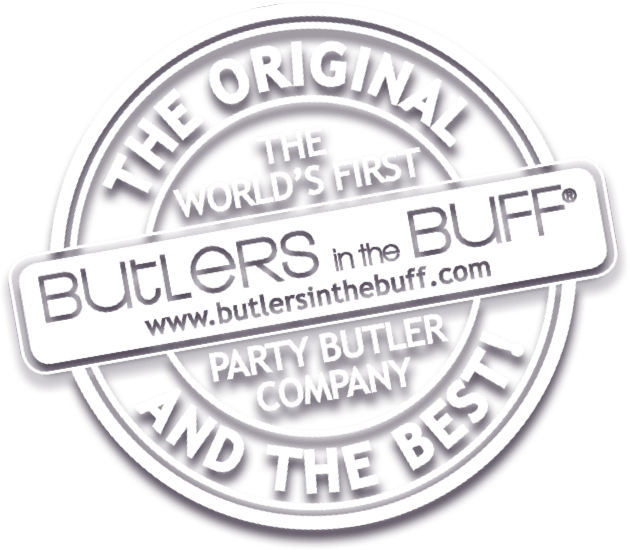 Butlers in the Buff has established an outstanding reputation and enjoyed an amazing level of success through providing Butlers with a fantastic combination of good looks and charming personalities. We offer an unforgettable, bespoke service which brings a modern twist on tradition to thousands of events nationwide, year after year.